Should have been in bed by now, so I'll keep it short. 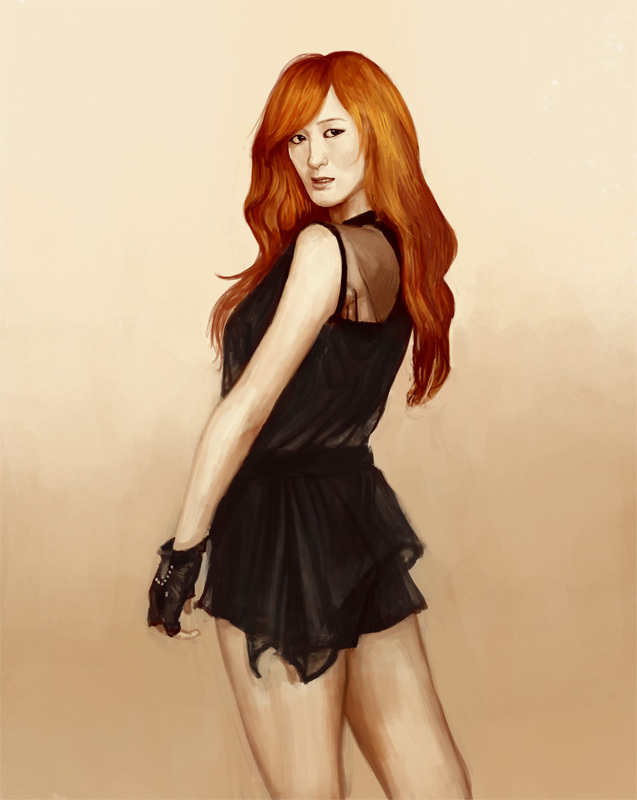 Started a portrait of Meng Jia of missA (korean girl group) as practice last night and finished it today. Tried to follow photo reference as closely as possible, but I just couldn't for the life of me get her features right. Oh well, it still made for a fun exercise.